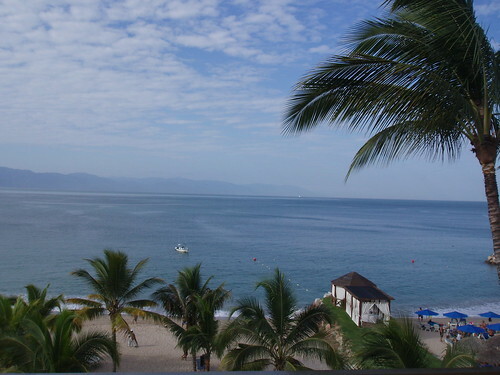 While Columbus endured the Snowpocolypse, I was acclimating to the life of the leisure class on a beach in Puerto Vallarta, Mexico. My holiday was an opportunity to catch up on my reading (three books), enjoy the company of old and new friends and explore a part of the food world that has much meaning to me after a year of Taco Truck research. The states of Jalisco and neighboring Nayarit are homes to many taco slingers in Columbus so I took a peek at the street food they grew up on. 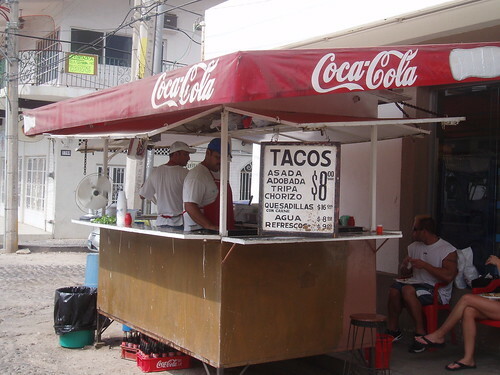 In Puerto Vallarta I saw a large number of hot dog carts as well but none were open when I was in eating mode. 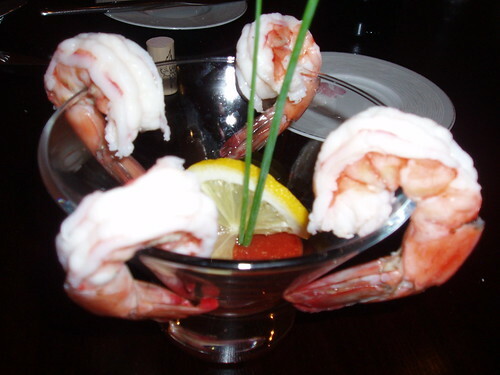 Each night I dined on the better cuisine of the city while searching for the best margarita and mojito. One evening the Gourmand party of ten took a siesta from the comida typical for a special five course meal with cooking instruction at Teatro Limon. The translation is not hard to decipher – Lemon Theater and it is a lemon hued theater of sorts. 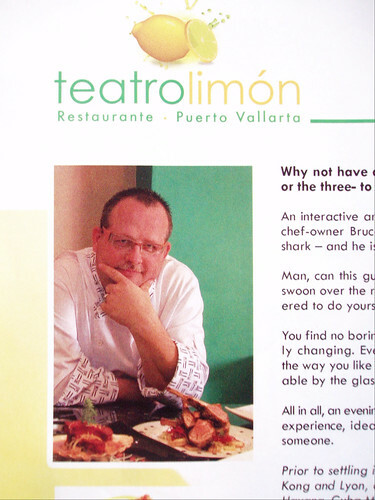 Chef Bruce Pelon hails from Toronto and has settled nicely in Puerto Vallarta after practicing his craft in several cities. 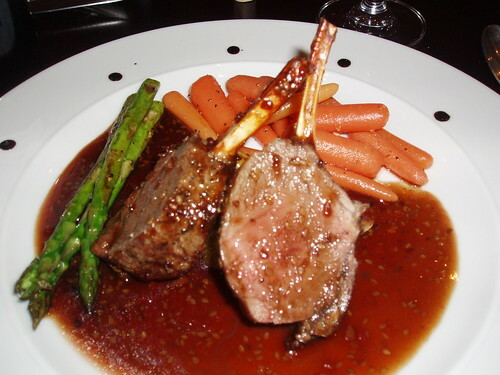 His intimate restaurant is a short cab ride from the Hotel Zone on the north shore of town. The house turned dining den seats about 40 in a setting that feels like eating in someone’s dining room. 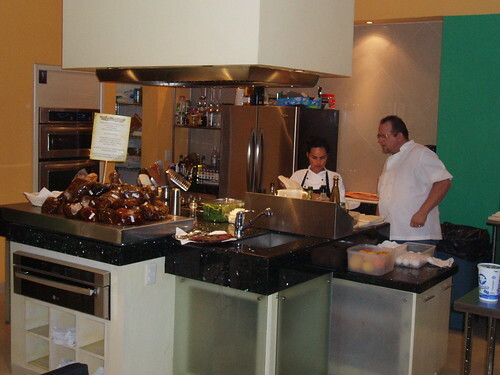 Guests can see the open kitchen and watch as every ingredient combines into a three or five course meal. Reservations are (usually) required with the option for the first party to book the night to enjoy as hands on experience as they would like in the preparation of part of their meal. Chef Pelon greets each table and presents a limited selection of entrees to choose from with the rest of the courses served as part of a fixed menu. The food is fresh, simple and local when possible. 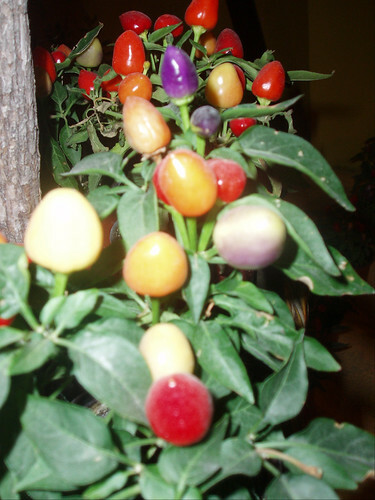 The ingredients are also accessible – there is a small herb, tomato and pepper garden in courtyard, meats are of the best quality and some ingredients come from…Costco. As a favor to friends with a forgotten eighteenth wedding anniversary our party made an addition to our reservation – the two best behaved children in the western hemisphere – Michael and Costa. 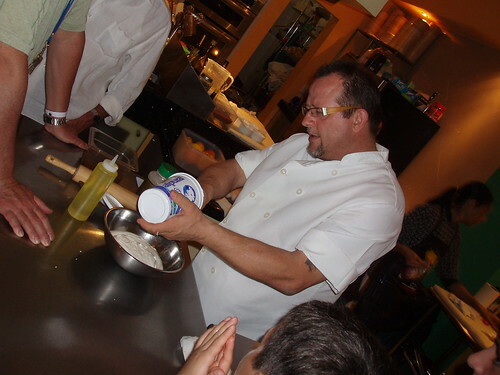 The boys were given the opportunity to create our appetizer with Chef Pelon as we watched on. In this area the chef really excelled. He understands the art of instruction (as well as presentation, marketing and delegation) so within less than twenty minutes the boys had created a non traditional version of Eggs Benedict using puff pastry as a base, perfectly poached eggs and a peppery orange marmalade sauce which is a superior substitute for the typical Hollandaise sauce. We each learned from this demonstration and picked up a fast and easy method for making a better version of this old dish. 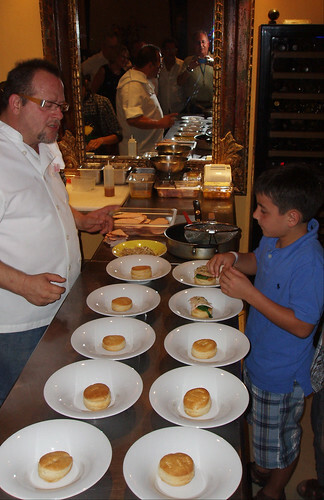 The boys had a great time with Chef/Teacher Pelon during a night which clearly exceeded their “babysitting” expectations. 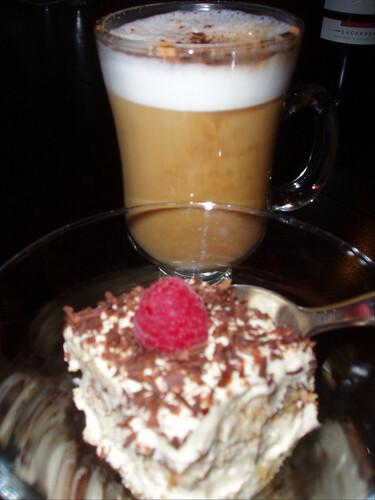 The rest of the dinner included a simple salad, shrimp cocktail, entree (I choose venison) and a terrific Tiramisu. While the meal was expensive (in comparison to our other choices for the week) at $50 per head (not including drinks) the atmosphere, personal attention and quality of the meal made it memorable and well worthwhile. More of the meal is shown below. Travel and food are my passions. The best memories of my expeditions are not the destination or (gasp) even the meals but the people encountered in the course of the quest. During every trip I met someone who teaches me something new and I often find a friend that sticks with me for a lifetime. This trip would not have been possible if I had not made and kept a friend while in Australia twenty years ago. I think Michael and Costa will have many memories of their first time in Mexico but I know that the night at Teatro Limon will linger for a lifetime. I also believe Costa will wind up wooing his first girlfriend with an Eggs Benedict recipe he mastered at the age of eight. 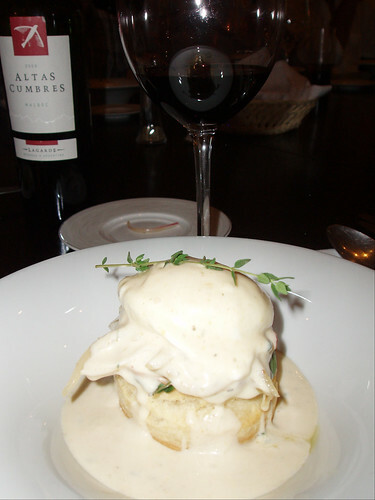 This entry was posted on February 21, 2010 at 9:36 PM	and is filed under Road Trip, Travelfoodalogue. 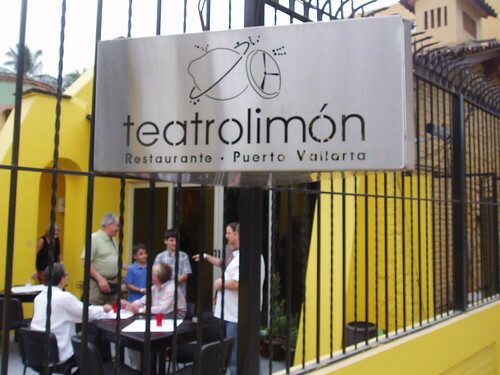 Tagged: Teatro Limon. You can follow any responses to this entry through the RSS 2.0 feed. You can leave a response, or trackback from your own site. Loving the travelogues. Might deserve their own tag. Well done, and well lived; inspirational. CMH G Comment: Thanks and done….kind of. Love it! Aron can tell you every meal he’s ever eaten on vacations. Show just a little interest and he’ll tell you all about the lobster pie he had in Maine or the time he got a donut at a coffee place that had been mistakenly filled with glaze instead of a cream filling (yes, he still longs for a repeat of that mistake). tell the kids, if they ever want recipes that are unique to call me!! Bruce owns a marvelous spot which will please people from 3 to 93! He is super with kids, just look. Why not show them the art of cooking at a young age? BTW, the food is even better than the lovely pix. 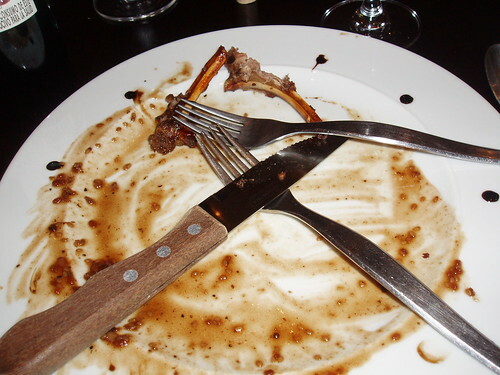 That lamb is to die for and I am partial to Julia’s housemade ice creams, esp. the basil one. Do not miss a high point of your trip by forgetting TL. What a place, what a guy!